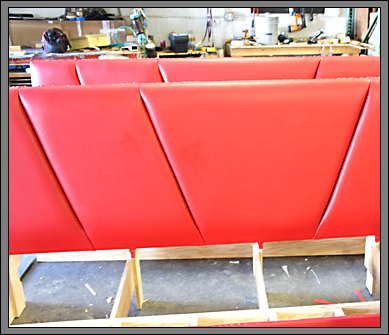 Elegance Upholstery, Inc.is a full-service business in upholstery and manufacturing of commercial seating and laminate applications. Elegance Upholstery provides its core service offerings in restaurants, hospitals, casino’s, nightclubs, and hospitality industries. As specialists in the commercial seating and manufacturing community, we are committed in providing excellent customer service and delivering quality craftsmanship on a timely manner. Elegance Upholstery, Inc. is considered as one of the top commercial upholstery companies in the manufacturing industry. With over 20 years of experience we are considered as one of the nationwide go to manufacturer for commercial seating and laminate applications. To manufacture exceptional seating products and to aide in the development of new facilities, as well as improve existing establishments. We will achieve this by providing quality craftsmanship and excellent customer service. For the last seven years I have had the pleasure of working with Ricky Vargas and his team at Elegance Upholstery. Their work ethic, communication, customer service and all-around performance really shows through the finished product delivered. Elegance is the best of the best in the industry. I would not recommen and other company. They are top notch.